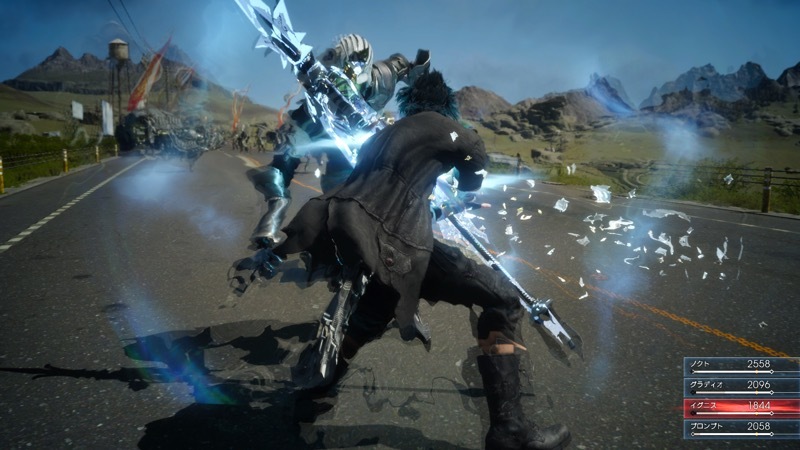 By now a large chunk of you Final Fantasy fanatics have probably picked up Type-O, thrown the box and disc aside and dived head-first into the real reason everyone is going bonkers about the PSP remake – access to an early slice of Final Fantasy XV. Episode Duscae is the only glimpse we have of Square Enix’s in-house Luminous engine, and at a glance it seems extremely beautiful. Only at a glance though. The Director on FF XV warned that this early vertical slice of the upcoming sequel is a very early look at a game still deep in development, and doesn’t represent any of the final technical targets the team is aiming for. That’s a relief to hear, as the guys over at Digital Foundry found a lot more to be depressed than overjoyed over when taking a look at Episode Duscae’s performance across both Xbox One and PS4. Firstly, neither version manages to reach 1080p, despite being such a small part of a bigger game. The PS4 version manages to hit 900p, while the Xbox One rings in at a lower custom resolution of 1408×792. That doesn’t seem to affect environmental detail, which has a nice depth of field effect to make it look sharp, but the overall lack of edge enhancement across the board leaves a lot to be desired. The poor texture filtering also adds to these woes, with textures looking muddy at the best of times. These elements wouldn’t be as alarming this early in development if the framerate at least impressed, but it often struggles to keep up with the action on screen. The PS4 version is the lesser of two evils here, trying its best to hover around 30FPS but taking long dives into 25FPS territory for extended periods. The Xbox One version, on the other hand, is far worse, trailing the PS4 version consistently by 5 FPS. That means drops into scary sub 20FPS in some combat-heavy scenarios. These are all problems reminiscent of a title that hasn’t reached the optimization stage, and acts as a reminder as to why this process sometimes takes months to finish. I’m sure Square Enix did their best to prepare the demo for public consumption, but with an incomplete game there’s fairly little they can do for this slice alone. So while Episode Duscae is a great way to build hype around an intriguing Final Fantasy sequel (and making series skeptics like me drool endlessly), it still has a very long way to go before it’s a stable, truly gorgeous game. But considering there still isn’t a release window, never mind a concrete date, I wouldn’t stress too much.